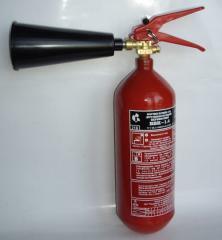 The CO2 fire extinguisher (carbon dioxide) with a figurative volume of cylinder of 3 liters (2 kilograms), is intended for suppression fire of various substances which burning cannot happen without air access, fire on the electrified railway transport, the electroinstallations which are energized no more than 1000B, fire in the museums, art galleries and archives, a wide circulation in office rooms in the presence of office equipment, and also in inhabited sector. 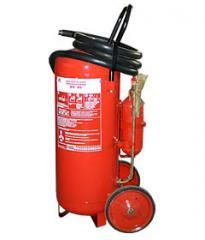 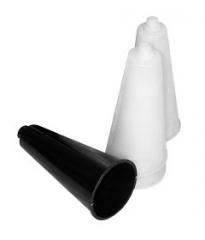 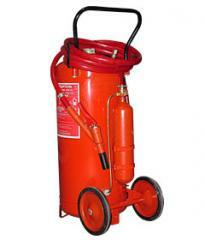 Fire extinguishers are not intended for suppression fire of substances which burning can happen without air access (aluminum, magnesium and their alloys, sodium, potassium). 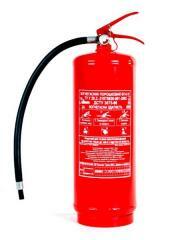 Fire extinguishers have to be operated in the conditions of a temperate climate in the range of temperatures from minus 40 to plus 50 °C. 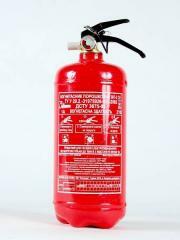 Hit of direct sunshine is not allowed. 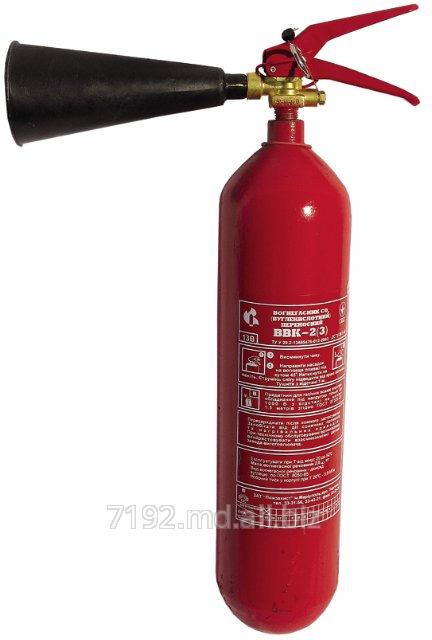 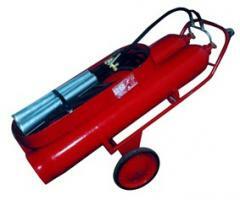 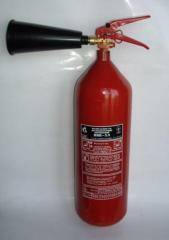 Unbelievable price on The fire extinguisher carbon dioxide OU-3 (it is VVK-2) in Kharkov (Ukraine) company APS-SPECODEZhDA, OOO.